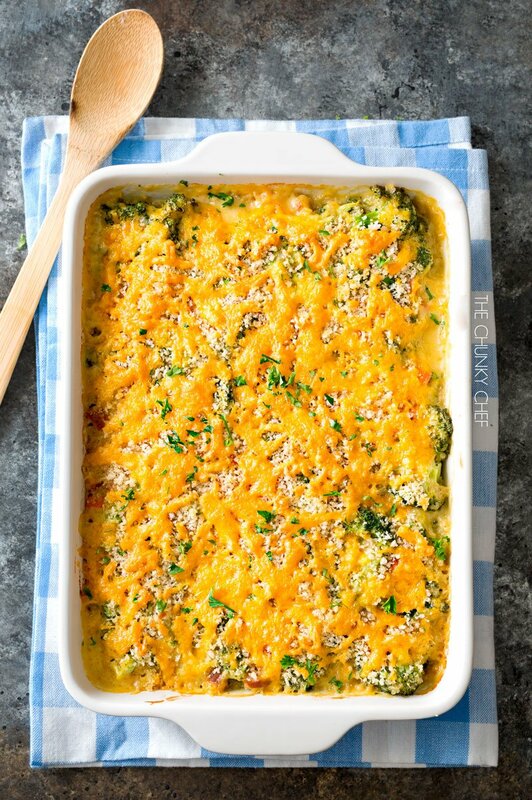 This broccoli casserole is made a bit healthier, with extra protein from the quinoa and chicken sausage… a complete, one pan meal, or versatile side dish! 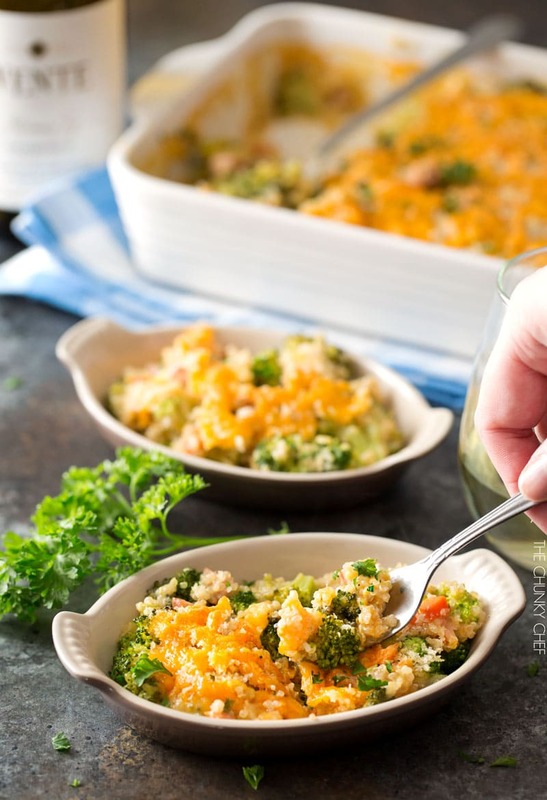 Traditional broccoli casserole gets a healthy makeover by using quinoa instead of rice, bumping up the protein factor by adding chicken sausage, and made 100% from scratch by making an easy homemade creamy chicken cheddar sauce. No canned soups needed! 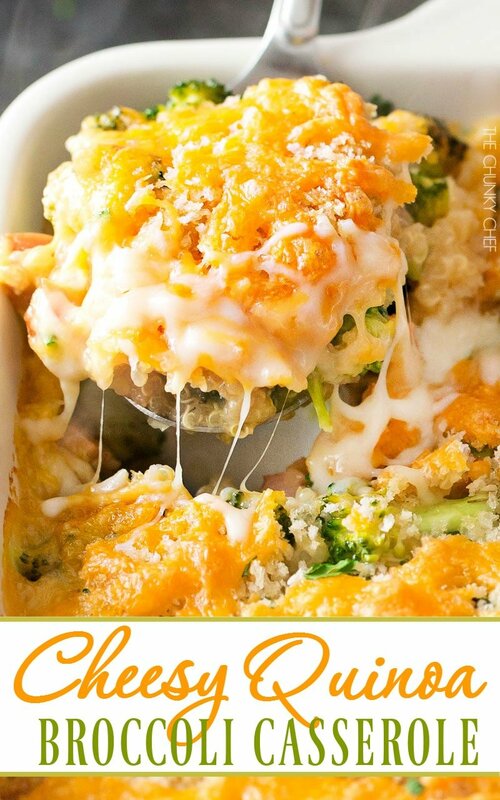 One of my favorite side dishes that my Mom made growing up was a cheesy broccoli rice casserole. It has all the great broccoli cheddar flavor, plus the heartiness from the rice. So when I came across a newer version in a Cooking Light magazine, I just knew I’d have to try it and put my own little spin on it. This version uses quinoa instead of rice, for a healthier whole-grain alternative that’s full of protein and fiber, and has chicken sausage in it as well, for an extra protein boost! 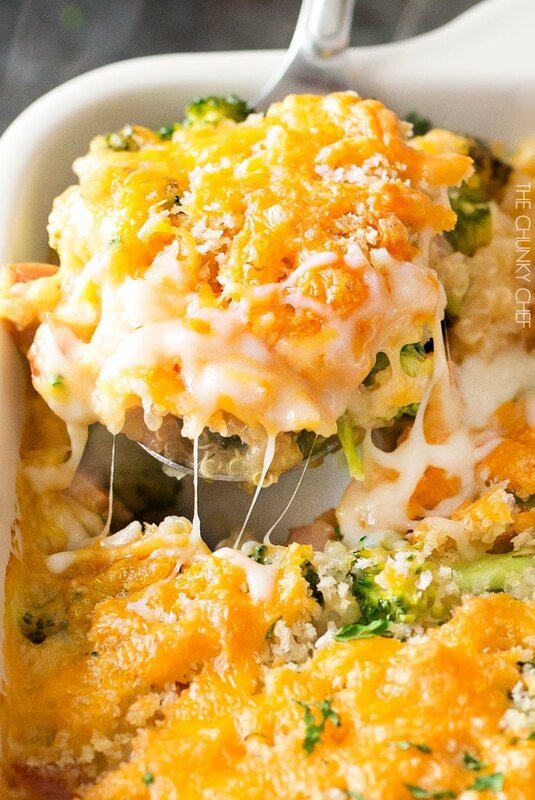 One of my favorite things about this casserole is that it’s made 100% from scratch. That’s right… no condensed “cream of” soups here! Don’t get me wrong… I use them sometimes when I cook (like in this copycat soup), but I know a lot of people aren’t fans of the canned soups, so I love that this is allllll from scratch. 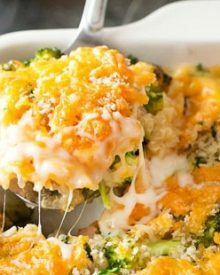 While this broccoli casserole is probably thought of traditionally as a side dish, the high protein factor in this dish makes it perfect for a complete main dish meal. A main dish that’s perfect for a weeknight meal… especially if you cook a few components ahead of time. 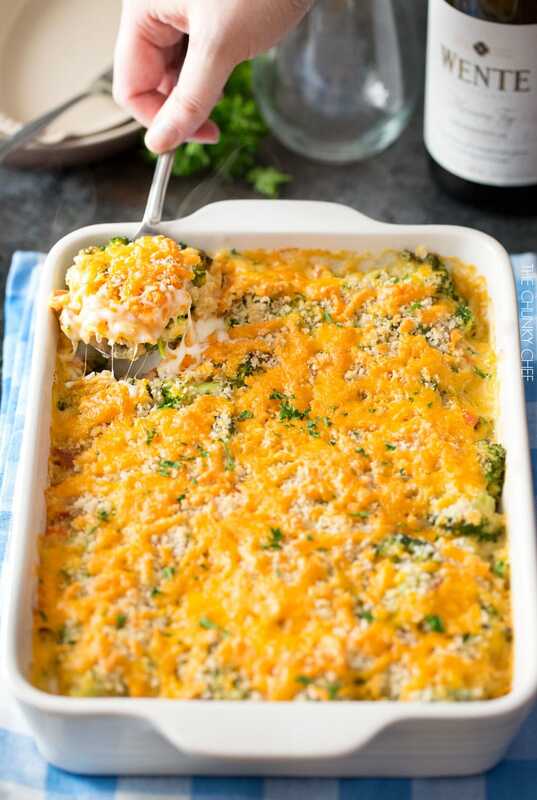 This time of year is perfect for meals like this broccoli casserole, and it’s also perfect for pairing with a GREAT bottle of wine! One of my new favorites is Wente Vineyards. Based out of San Francisco, CA, this family owned vineyard has a great collection of fine wines. Their 2014 Morning Fog Chardonnay received a recent Wine Enthusiast score of 90… and I can personally attest to the fact that it tastes seriously amazing!! Usually I’m a red wine drinker, but the Morning Fog Chardonnay has me singing the white wine praises! You can purchase Wente Vineyards wines online… and they’re great to keep a bottle or two on hand for when those unexpected holiday guests pop over, or as a guest for a host. 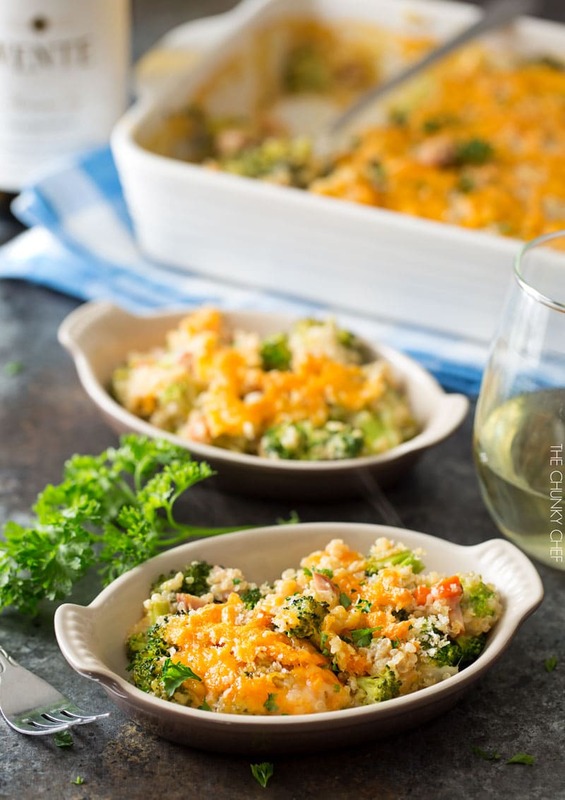 This broccoli casserole is made a bit healthier, with extra protein from the quinoa and chicken sausage... a complete, one pan meal, or versatile side dish! Bring water and quinoa to a boil in saucepan. 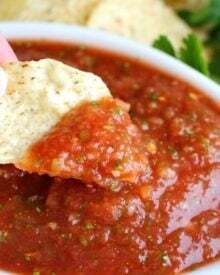 Reduce heat, cover, and simmer 12 minutes, or until liquid is absorbed. To a large skillet, add 1 Tbsp olive oil and heat over MED heat. Add chopped onion, carrot and chicken sausage and saute 5-7 minutes, until vegetables are softened and sausage is lightly browned. Remove to a large mixing bowl, reserving the pan drippings in the skillet. While onions, carrots and sausage are sauteing, add broccoli florets to a large microwaveable bowl with a splash of water. Cover bowl with a plate and microwave on high for 4-5 minutes, to steam. Drain broccoli and add to the large mixing bowl. Add butter and garlic to pan drippings, melt. Add flour and whisk until mixture is combined and no flour lumps remain. Add milk and chicken stock, whisking to remove any lumps from the flour/butter mixture. 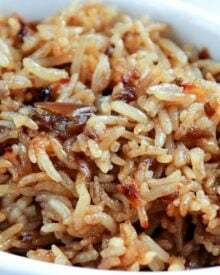 Bring to a high simmer and cook, whisking often for 2-4 minutes. Mixture will thicken quite a bit. Add thyme, salt, pepper, and red pepper flakes, stirring to combine. 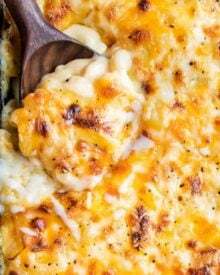 Add in 1 cup shredded cheddar cheese, whisking to melt cheese into sauce. Add cooked quinoa to large mixing bowl with other cooked ingredients. Pour in cheese sauce and stir to combine well. Spray a 3 qt. casserole dish (13x9") with non-stick cooking spray and transfer 1/2 the mixture to dish. Sprinkle with 1/2 cup cheddar cheese, the top with remaining half of mixture. Toss panko breadcrumbs with remaining 1/2 Tbsp olive oil, and sprinkle over top of casserole. Top with 2/3 cup cheddar cheese and 1/3 cup mozzarella cheese. 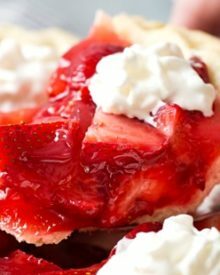 Bake for 18-20 minutes, until lightly browned and bubbly. Cool UNbaked casserole completely, then cover tightly with foil. Bake, covered, at 375 degrees F, for 25 minutes. Broil for 5 minutes, until cheese is browned and bubbly. Perhaps, it wouldn’t have the better flavor of sausage inside but, I’m thinking it could possibly be workable. Have you considered making it this way? I’m thinking of making it tomorrow….Perhaps, it will do nicely. 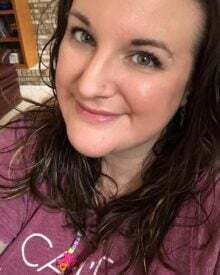 Hi Carole 🙂 I haven’t made it without the sausage, but I think it would be fine without it if you’d prefer a vegetarian dish. I love this so much! 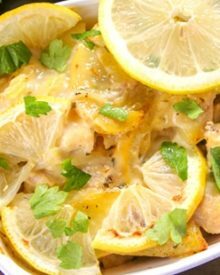 I need to make this for dinner soon! 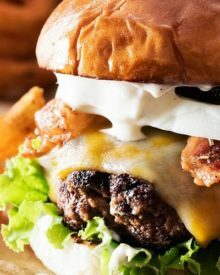 This looks absolutely delicious!! My kids will love it!! The next casserole that I am making is right here! Delicious! YUM! I love that this casserole is 100% from scratch. It’s gorgeous, and I have no doubt my entire family would love to eat a huge helping of this. I use to make a version of this when I first got married. 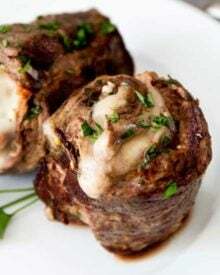 It was my go to learning how to cook recipe and we loved it!